Sales and marketing are two sides of the same coin but must work together to win more customers. Marketing activities are designed to attract and engage visitors, at which point sales takes over and begins to excite and convert leads into new business. If you’ve got a good marketing strategy in place, and are generating some leads, but don’t seem to be able to move those leads successfully through your sales pipeline then our social prospecting and sales assistance service is just the ticket. Social prospecting is the art of listening to people, not mentions or specific keywords. It’s an approach that looks at your social media, identifies opportunities and prospects and engages with them through your content. 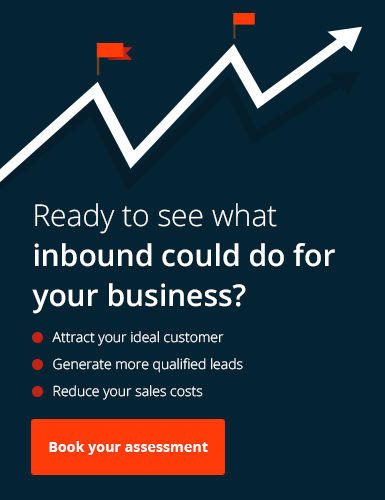 Generating leads, enriching and qualifying those leads, and finally, moving leads through your sales funnel can prove difficult and time-consuming. If you’re struggling to generate the right kinds of leads, if you need help qualifying your leads, or you can’t seem to leverage social media as a lead generation tool then take a look at our social prospecting service. By engaging our social prospecting service, we’ll become an extended part of your sales team. By gaining an intimate knowledge of your sales processes and social media activities, our team can identify potential prospects, reach out to those prospects with timely and relevant content and sales material and look to qualify those leads and advance them to the later stages of your sales pipeline. What’s included with social prospecting? You’ll get dedicated access to one of our business development representatives who will work exclusively on your account. They’ll spend part of their working week acting as your sales partner, reaching out to and engaging with your potential prospects to start more sales conversations for your team.